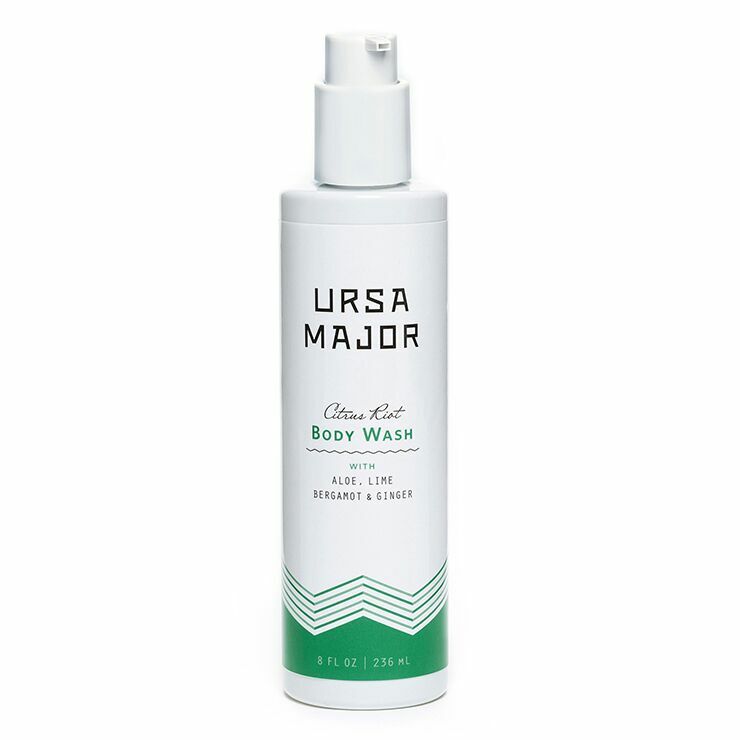 Add some zing to your morning body cleanse with Ursa Major Citrus Riot Body Wash. Crafted with aloe vera to provide a soothing feel to skin, lime peel is added to refresh the senses with an uplifting scent. Bergamot and cedar lend a feeling of balance and calm, while frankincense and vetiver visibly improve skin tone, stretch marks, acne spots, and dark marks. The scent is an exuberant blend of citrus and ginger to impart a sense of revitalization and energy. Use daily to cleanse the body in the shower or bath for a feeling of clean, moisturized skin and boosted energy. Follow with your favorite body lotion or cream.